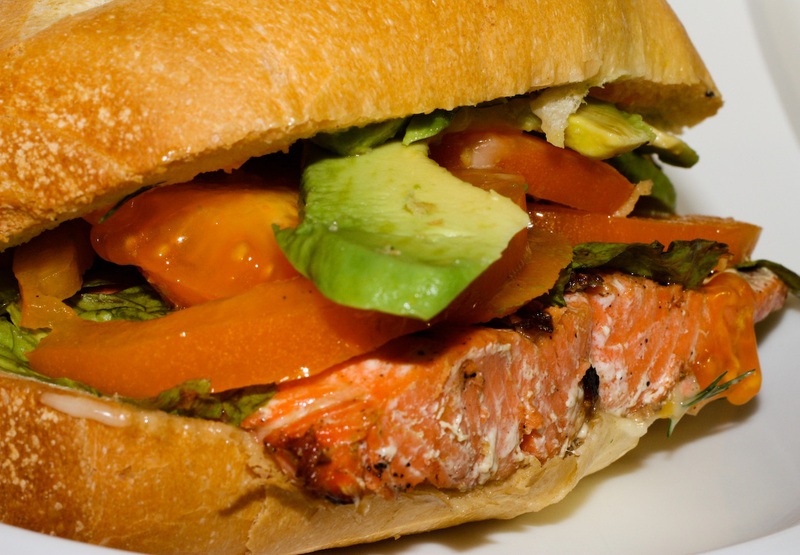 Grilled salmon sandwiches WILL get the attention of just about anyone you care to engage in hanky panky. Give them the unexpected and they shall swoon. At least that is what I find every time I try something new or unusual. Even if you crash and burn, brownie points will be yours. 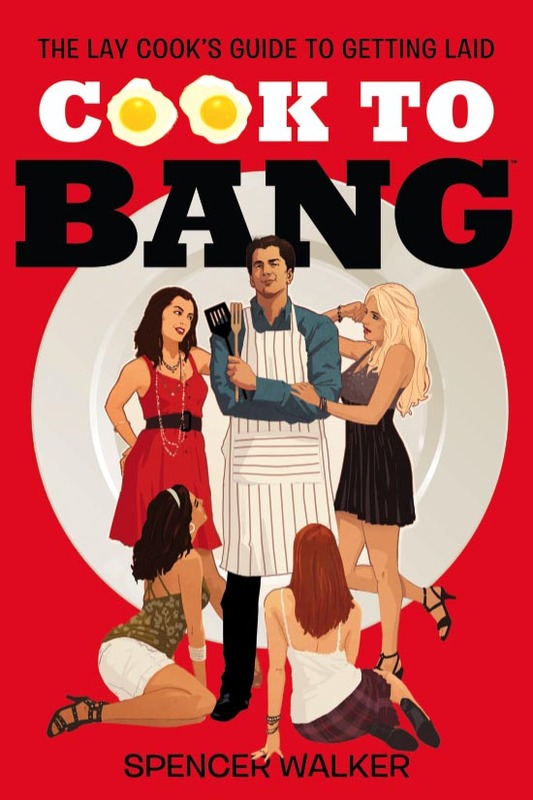 But alas, I vouch for this recipe as “a friend of mine” in the mob tradition. This recipe is worthy of putting my life on the line. I have no quarrels with saying, “Yes, you may shoot me in the face if you don’t like it”. Sock-it-to-me! Preheat the grill. 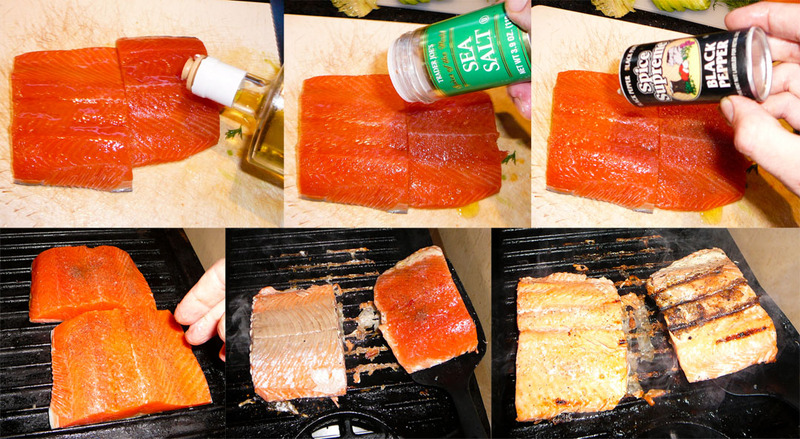 Season the salmon steaks with olive oil, sea salt, and black pepper. Throw the fish on the grill skin side down and grill through (approx 3-4 min per side), flipping once. 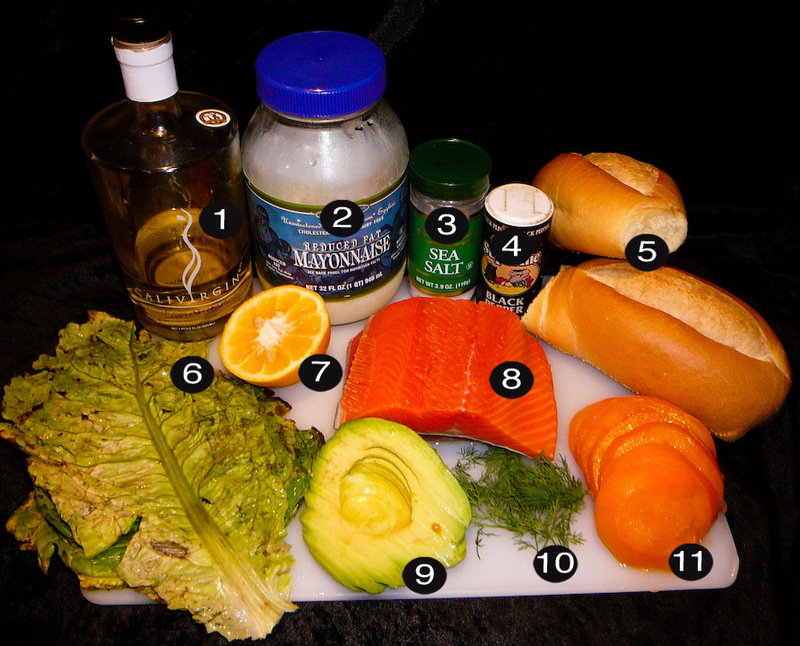 While the salmon grills, mix up your sauce: mayonnaise, lemon zest, lemon juice, and dill. 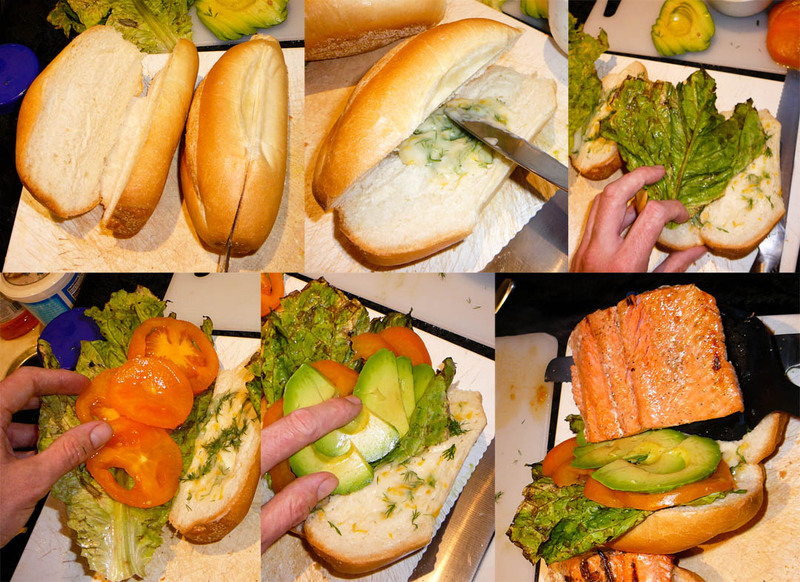 Slice open the fresh rolls, slather with the secret sauce, and fill it with lettuce, tomato, avocado, and the grilled salmon steak. Slap together and it’s salmON! This entry was posted on Tuesday, June 8th, 2010 at 12:01 pm and is filed under aphrodisiac, APHRODISIACS ANONYMOUS, RECIPES, seafood, SINWICHES, summer. You can follow any responses to this entry through the RSS 2.0 feed. You can leave a response, or trackback from your own site.